Congratulations on making a decision to learn how to scuba dive! The NAUI Scuba Diver course is an entry level scuba certification course. It provides you with the fundamental knowledge and skills to scuba dive. With this certification, you will be considered competent in engaging in open water diving activities without supervision, provided the diving activities and the areas dived is similar to your training. Our NAUI Scuba Diver course is a 3 full day course comprising of 1 day in the classroom and 2 days out in the water doing skills led by our Instructors. What scuba diving is, what it means to be certified, what is NAUI. You will be introduced to the diving equipment such as the basic equipment, scuba cylinders, regulators, diving instruments, buoyancy compensators, weighting systems, exposure suits and accessory equipment. Diving skills including how to assemble your scuba equipment, donning your scuba gear, entering and exiting the water, mask skills, regulator skills, buoyancy skills, safety skills, buddy system, communication above and below water, handling your scuba equipment in the water, removing and replacing your scuba unit, removing and replacing your weight belt, navigation skills and how to disassemble your scuba gear. Diving science that covers characteristic of air and water, buoyancy, pressure and it’s effect on your body, and thermal effects of diving. Decompression including what nitrogen is and how it affects diving, how to use a dive table to plan your dives and tips on maximizing your underwater time. Dive planning and recording covering long and short range planning, preparing and conduting your dive, contingency planning and recording your dive in your log book. Problem solving which touches on solving problems in diving situations, assisting other divers, rescues, emergencies and First Aid and responsible scuba diving practices. Diving environment that covers physical characteristics of a site, entries and exits, water conditions, visibility, moving water and its effects, marine life and conservation. Out in the water for the next 2 days, you will practice the water skills that you learnt in the classroom over 5 sessions. 3 sessions on the first day and 2 session on the second day. We also have an equivalent entry level certification under PADI, known as the PADI Open Water Diver course. The NAUI Scuba Diver Course is a 3 full day course. 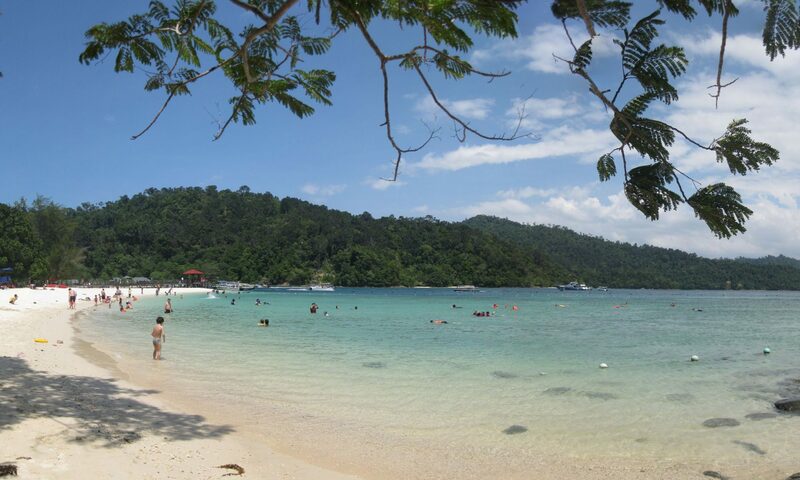 The first day will be spent in the classroom while the next two days will be spent out at Sapi Island practicing the skills you have learnt in the classroom in confined water and open water. How Much Does the Scuba Diver Course Cost? 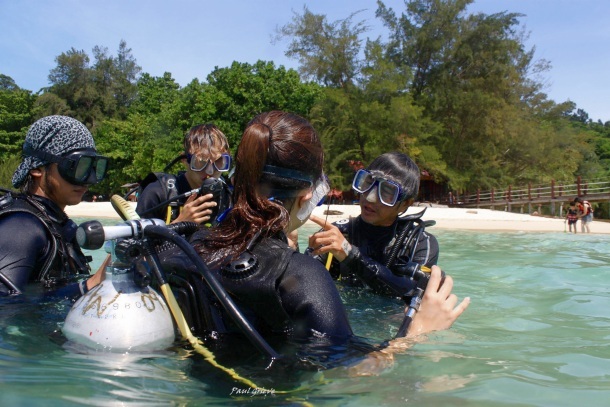 The Scuba Diver Course costs MYR1,100 per person. But if there are 2 or more persons in your group, then the cost is MYR900 per person.